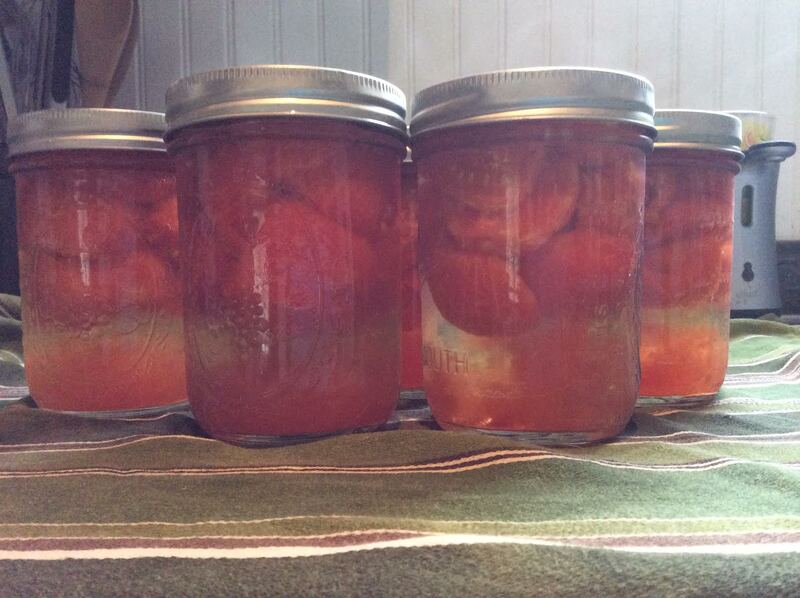 Canning/Preserving | Om nom nom! Compared to last year’s meek tomato harvest, this year is insane. I brought in 34 tomatoes tonight alone – so you can imagine how backed up we are getting on ‘maters! Luckily most of these guys are Romas, which I specifically planted for canning purposes. 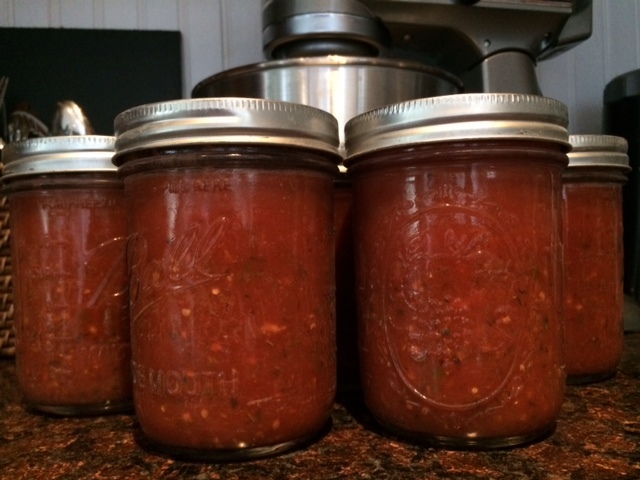 This was my first shot at canning tomatoes (pre-sauce, anyway), and it was remarkably simple. 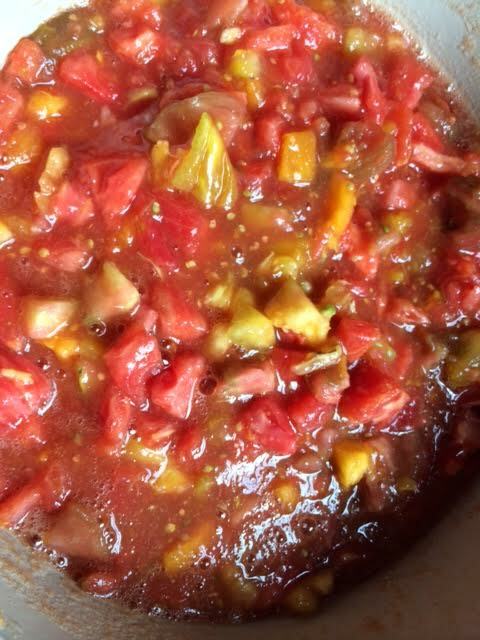 You really can preserve any kind of tomato, though the “meatier” kinds definitely hold up best. Next time, maybe some of my heartier heirlooms. We grew green beans for the first time this year, and holy smokes are they prolific! They are definitely one to plant again. But like any heavy producing veggie in the garden, when you end up with a glut of them, it can be hard to use them all up. 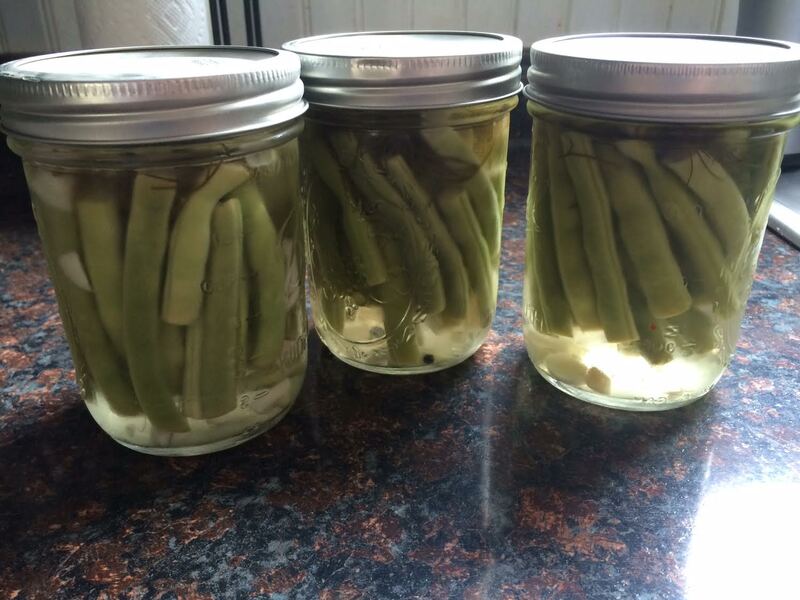 I decided to try refrigerator dilly beans. I got the basics from Cooking Light’s recipe for spicy dill beans, but I toned the spice down. Last year I overdid it a bit and the pickles were all kind of too hot for us. They would make a cute summery food gift if you wanted to take the final step and actually can them. 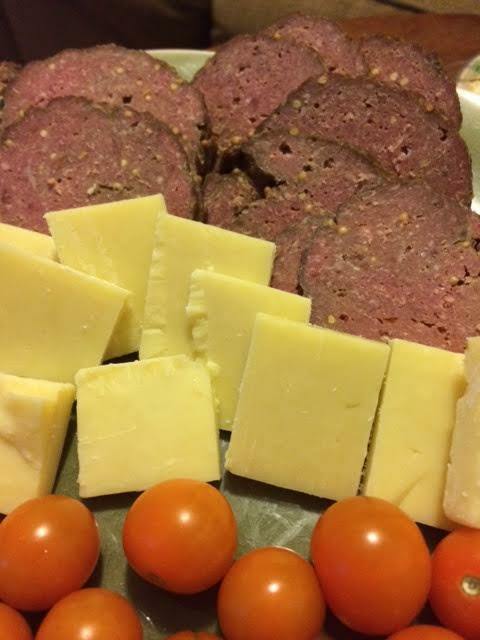 Summer Sausage has always been one of my favorite snacks, but there’s all kinds of weirdness that goes into preserving some of the (admittedly delicious) grocery store brands. About a year ago, I looked into whether or not we could do it ourselves, and it turns out it is very easy! I’ve yet to make this sausage look pretty, though I did a better job of shaping them this time, but they would be nice in a gift basket. While there is still some curing going on, it’s controlled and it’s nice to know what’s in it. And we can make it with a leaner meat and spices to taste. It freezes very well, especially if you vacuum seal it. The measurements below are what we like, but you can absolutely adjust them (except for the curing salts to meant ratio). The cucumbers keep on coming! Not that I’m complaining. 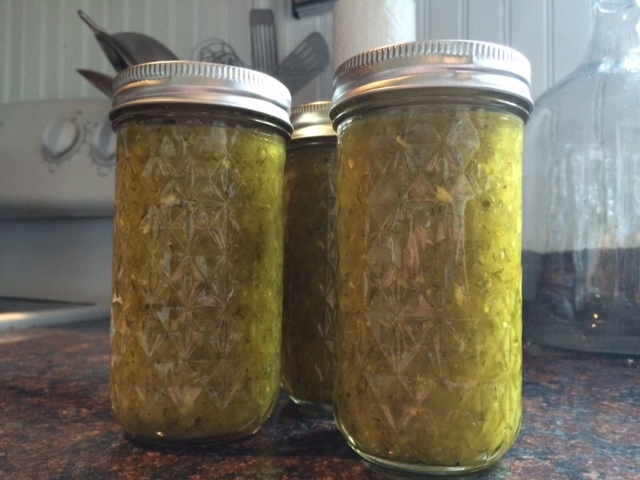 🙂 Relish seemed like a fun use to preserve them, beyond another batch of pickles. This was pretty easy, though needed a lot of improvising. I liked the final results, but we’ll see how they are after a few weeks. This is our first year with a big garden, and I am loving it!! 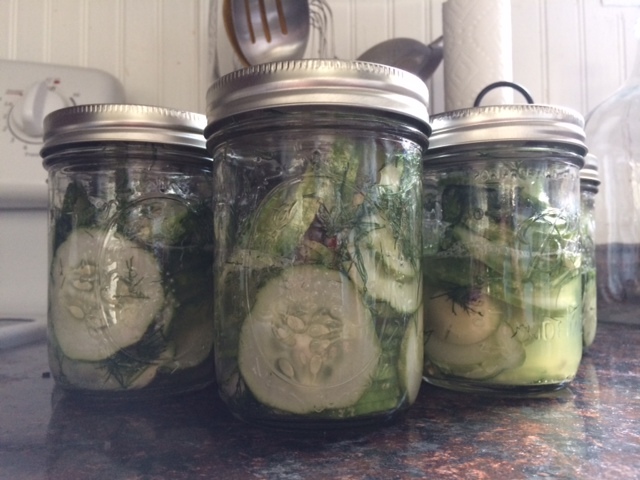 Our cucumbers are gorgeous, and we’ve had enough to snack on as well as enough for the one thing I’ve been waiting for…pickling! I pretty much heart dill pickles. This brine comes from my Gram’s recipe, but the spice ratios I ad-libbed for our tastes. I used dill heads from our own garden as well, so extra fun. I did use pickle crisp because I did a BWB so they’d last a year+ and didn’t want soggy spears. Also, I was out of canning salt so used sea salt (about the only alternative to avoid the anti-caking). 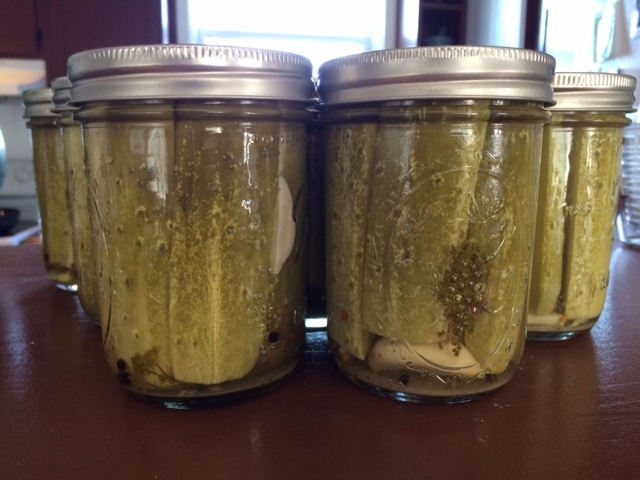 For planning purposes, 20 medium to large pickling cucumbers and about 40 dill heads yielded 9 jars of pickles. The worst thing is waiting six weeks to see how they turned out!